BEIJING -- He is little known outside China. Even here his name was hardly ever mentioned after his death in 1989 -- until recently. I first met him at the Great Hall of the People in 1982. "Met" is the wrong word. Encountered is better. He was waiting for a visiting foreign dignitary. I was on the other side of a red rope with a gaggle of other reporters. But I could see that he was different from other Chinese leaders. He was vigorous and animated. Not distant and aloof. He walked up to the rope, exchanged a few "ni haos." Nothing informative. But different, nonetheless. He had been a revolutionary since the age of 14 in rural Hunan Province. He emerged from the ranks to become Party Chairman in 1981. He helped re-organize the leadership. Breaking the structure set down by Chairman Mao Zedong, he worked to abolish the title of Chairman. He assumed the position of "General Secretary" in 1982 (the position held today by Xi Jinping). His name was Hu Yaobang (胡耀邦). 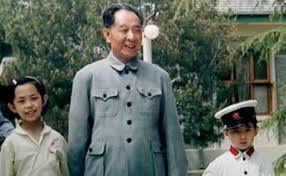 It was joked about at the time: Hu was mentored by Deng Xiaoping, China's most influential leader since Mao, because he was shorter than Deng. Deng was barely five feet tall. Foreign journalists in the 1970's and 80's loved to write of Deng -- the "diminutive but powerful leader." I never did. Try pronouncing "diminutive" on the television. If Hu was short on stature, he was tall on energy. I attended a session of the "12th National Congress of the Communist Party of China" in September 1982. I think it was the first time a Party Congress was opened to foreign media. The Congress was notable for a few important post-Mao transitions. The Communist Central Discipline Inspection Commission was founded. Thirty three years later Xi Jinping is using that body effectively to go after corruption and purge officials he does not like. The last direct connections to Mao were severed. When I arrived in China in 1978, there were posters all over the country showing a man named Hua Guofeng sitting next to Mao. Mao was quoted as saying not long before his death: "With you at my side, I am at ease." In 1982, Hua (Party Chairman, 1976-1981) was out. The nation was more at ease with Deng and now Hu Yaobang. I watched Hu give the keynote address. He bounced around behind the lectern, gesturing broadly. He cut a figure quite unlike the older cadre who read long and desultory speeches, their heads buried in the written word. He spoke of reform. 26 years after his death, and 100 years after his birth, Hu Yaobang is making a comeback. Chinese media here were directed this week to publish articles praising him. President Xi Jinping, headlined the China Daily, "calls for emulation of Hu Yaobang." In the bloated rhetoric typical in China, Xi spoke of "Hu's glorious achievements." He made "outstanding contributions to liberation, socialist revolution and creation of socialism with Chinese characteristics." China Central Television, it was announced, would broadcast a major documentary on Hu's life on November 27th. Absent from Xi's endorsement of Hu were several unpleasant facts. Hu was purged as Communist leader after hardliners criticized him for the handling of student demonstrations in Shanghai in 1986-87. He was apparently too soft on student protest. I was in Shanghai then for the outpouring of free expression on the streets in December 1986. ABC's Nightline aired a special report on the demonstrations on December 30th. We had no idea at the time of the struggle going on inside the Politburo on the handling of the students. No idea of Hu Yaobang's position. Our reporting dwelled too much on the ill-defined concept of 'democracy' voiced by the demonstrators. We now know that Hu was considered more "liberal" in Chinese terms than most of his colleagues. University students saw him as an inspiration. He was known for outspoken behavior. He advocated greater transparency, election of leaders at the local level, more accountability among officials, anti-corruption campaigns, and both political as well as economic reform. Earlier in 1980, he had been assigned responsibility for Tibet. He was reportedly shocked by the treatment Tibetans were receiving at the hands of Han Chinese officials. He ordered a recall of cadre. Tibetan activists even today say there was a small window of hope for reconciliation with the Dalai Lama in the early 80's under Hu Yaobang. After his ouster as General Secretary, the conservatives allowed Hu to remain in China's top ruling body -- though with much less influence. He suffered a fatal heart attack while attending a Politburo meeting on educational reform in April 1989. At a memorial service, his widow is said to have blamed his death on the harsh treatment he received by fellow Communist cadre. Within a few weeks, citing Hu Yaobang as a motivation, the 1989 student movement began gaining strength. By May, the streets leading to Tian An Men Square were filled with demonstrators. Cities all across China erupted in widespread protest. It was not a democracy movement, but a reform movement, in line with Hu's thinking. It was brutally suppressed on June 4, 1989. Hu Yaobang was barely spoken about thereafter. For those looking for signs of change in China, Xi jinping's endorsement of the rehabilitation of Hu Yaobang raises dozens of questions. So far, Xi has been seen here as a man who in two years has quickly consolidated power. He has done so by cracking down. One by one influential leaders -- "Tigers" have fallen, charged with corruption. Human rights advocates, lawyers and journalists have been jailed for straying from the official line. Media censorship is more sophisticated than at any time in my China experience. Could the rehabilitation of Hu be a signal that policy may be about to move in a new direction? Once consolidation is complete, will Xi Jinping reveal himself as a "liberal?" Is political reform back on the agenda? The students of Tian An Men were branded as "hooligans and counter-revolutionaries." Will "the verdict" on Tian An Men as the Chinese put it "be reversed?" The answer of course is that we do not know. In a system as closed as China's, nothing is certain. Everything is "bu qingchu" "不 清楚" -- literally not too clear. Everything is uncertain. Still, it is always fascinating how China uses its history, alters that history, and creates a new narrative for the future. How the twists and turns of political history often surprise. 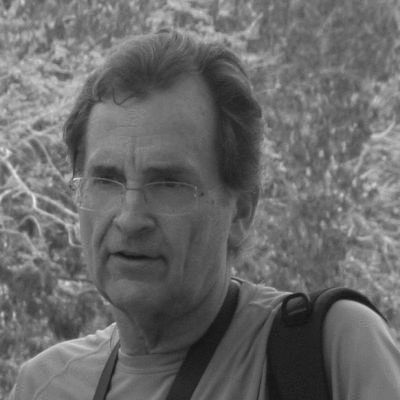 It is evidence perhaps -- if any is needed -- of an old truism coined nearly fifty years ago by Singapore based China watcher Dennis Bloodworth: "In China," he wrote, "history is unpredictable." Jim Laurie in China 1981. An international correspondent for NBC and ABC News for 28 years; he currently serves as a consultant in global network television and online media.